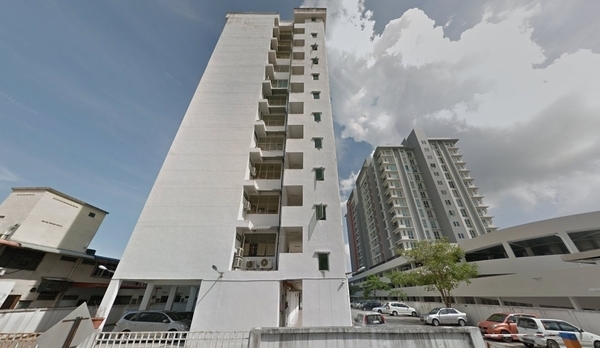 Pangsapuri Sri Chempa (also known as Sri Chempa Apartment) is a freehold low-cost flat located in Butterworth, Seberang Perai. There are 88 units available at this project with built-up from 950 sf to 970 sf. It was developed by Harta Intan Group with a launch price at about RM150 psf, and was completed in around 2013. Harta Intan Group is a medium-scale property development group, and it has built about 6 property projects in Malaysia. Other similar projects by the same developer are Aston Park East, Desa Alma Ria, Olive Tree Residences, Palm Residences and Palm Residences 2. The only amenities nearby this low-cost flat are schools. Several of the schools here include SJK Chung Hwa Cawangan 1, SK Bagan Tuan Kecil and SRJK (C) Chung Hwa 1. The current market prices for Pangsapuri Sri Chempa are from RM290,000 (about RM300 psf); while the monthly rentals are from RM700 (about RM0.77 psf). The highest median price psf ever recorded was RM321 psf in Q4 2014; while the lowest one was RM155 psf in Q1 2011. The most popular layout and size combination at Pangsapuri Sri Chempa is 3-bedroom / 970 sf with a median price of RM300 psf. For price wise, the most expensive one is 3-bedroom / 970 sf with a median price of RM300 psf; while the cheapest one is 3-bedroom / 950 sf with a median price of RM300 psf.